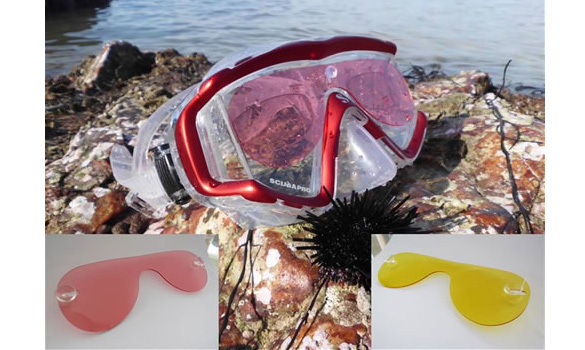 Fits double lens snorkel and SCUBA masks. Help reduce glare and protect against UV rays. Significantly enhance the beautiful colours of reefs. Patented vacuum-pad holds the filter lens securely to the mask lens. Includes mask strap attachment cord. Can be attached and removed during the course of the dive. Clearer depth perception resulting in vivid and colourful underwater vision, reef colour clarification and vibrancy.